With 2018's Game of the Year Award going to, drum roll please, PlayerUnknown's Battlegrounds. 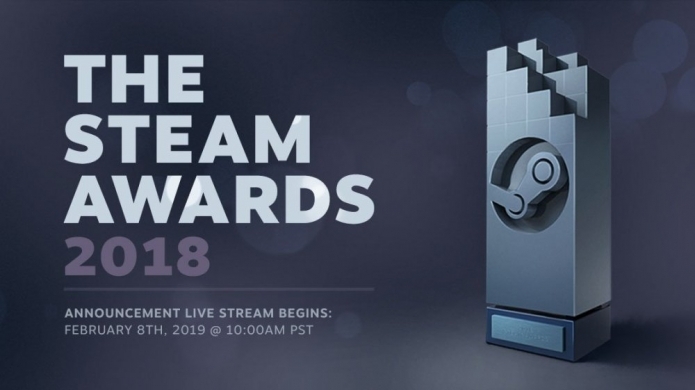 Voted by community members the Steam Awards 2018 cover a range of non conventional categories with nominations presumably based on the most games played and enjoyed the Steam community for any given year. So then, what 2018 release made the cut to win? That would be Assassin's Creed Odyssey taking the Best Alternate History crown over Wolfenstein II, Hearts of Iron 4, Civilization 6, and Fallout 4. Full winners and runner up below. This year also saw the award winner get announced live via stream - with the broadcast featuring video messages from the winning developers and teams. To watch the broadcast head here. Tinfoil hat time: The GOTY award was rigged because Valve needs to remind people there's a battle royale game on Steam. I feel like nobody talks about PUBG anymore but Fortnite is still in the news constantly. Is there a huge but silent player base for PUBG I just don't know about? There's still 310,000 people playing PUBG right now, 2nd to dota2 with 400,000.